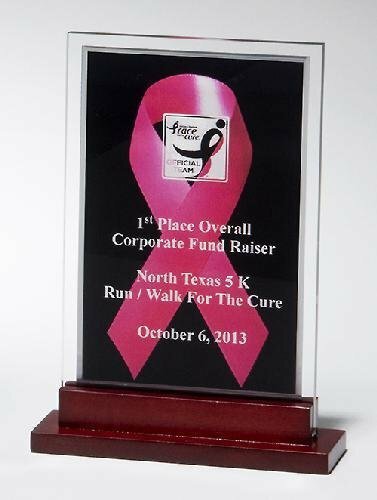 Apex Series clear acrylic award with blue highlights and blue base. 3/4" thick acrylic. Individually gift boxed. 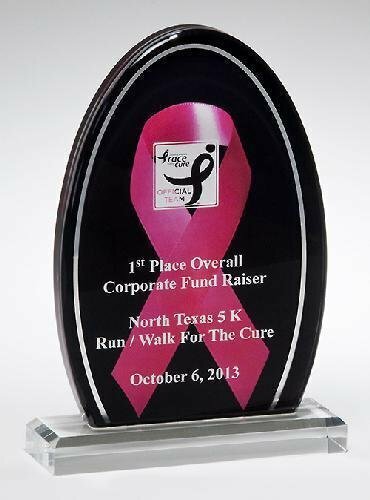 Contemporary design, the blue mirror upright and black acrylic base highlight your inscription on the clear convex-shaped acrylic front. Individually gift boxed.